High quality cost effective solution for domestic applications. Durable epoxy coated or chrome finish. 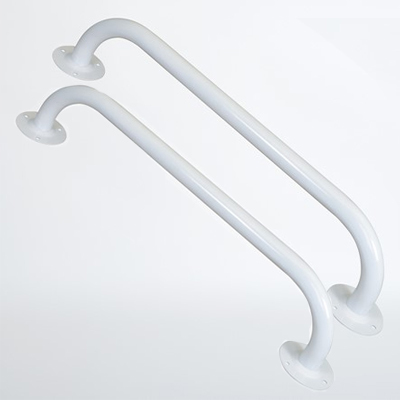 A pack of two white steel grab rails (round end steel) ideal for your home or for commercial places and businesses. 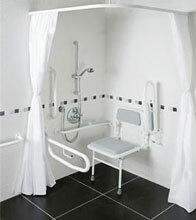 Get the right grab rails that suit your needs!